Hello, and welcome to part two of our blog series concerning essential spring maintenance checks for your BMW. If you haven’t been able to tell, at Kudos Import and Performance, luxury vehicles are our passion. 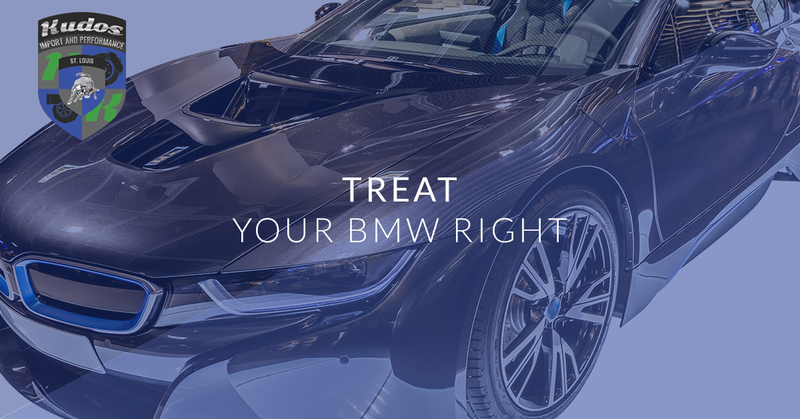 We enjoy helping Chesterfield area residents keeping their luxury vehicles in the best condition possible and, in today’s post, we are going to go over a few maintenance essentials that we feel are important when getting your BMW ready for spring. If you haven’t read part one of this series we suggest that you go back and do so, however, if you’d like to dive right that’s fine too. Continue reading below to learn more! Although we often take it for granted, the electrical system of your vehicle performs many important functions. Not only is it the system responsible for getting your car started in the first place, it also powers many of the essential systems and gauges necessary for you to properly pilot your vehicle. Cold winter temperatures and ice buildup can damage the sensitive electrical components in your BMW and, trust us, this is not an issue you want to have pop up in the dead of summer. We suggest that you check as many of your BMW’s connections as possible, as well as the spark plugs, hoses, and belts that snake their way through your vehicle. If it has been a while since you replaced your battery, we also suggest that you have it checked to make sure that the cold has not affected its ability to store power. Building upon your BMW’s electrical system, spring is the perfect time to make sure that your vehicle’s air conditioner is ready to perform all summer long. To make sure that your air conditioner is ready to go, we suggest that you have the coolant levels checked and replace your vehicle’s air filters. Additionally, we suggest that you perform a “test run” of your vehicle’s air conditioner to make sure that no other issues occur that are not directly related to the air filter or coolant levels. Doing this now will help to ensure that no problems crop up once the temperature outside starts to become uncomfortable. Trust us, a little bit of preventative maintenance now is better than having a broken air conditioner while the temperature soars outside. If you would rather have an expert look at your BMW to make sure that it is in perfect working condition, contact us today at Kudos Import and Performance. We have the knowledge, tools, and skills necessary to make sure that your BMW is ready to go. We have become a trusted name in the Chesterfield areas as a result of our high-quality work and dedication to our craft and we feel that once you experience our services, you will never want another shop to touch your BMW again. Contact us today and let us help you make sure that your BMW is performing as well as it should be.